"Age and glasses of wine should never be counted . 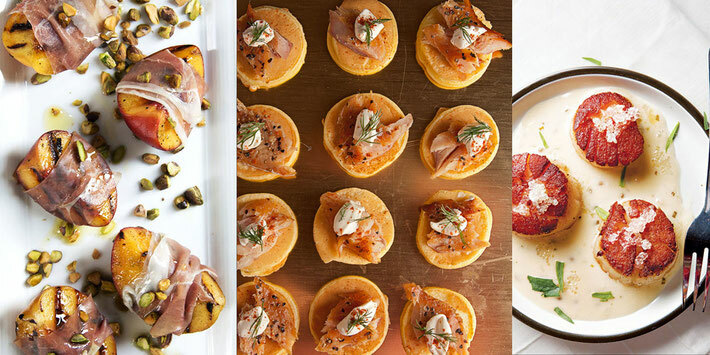 . . "
Grilled peaches with rosemary, country ham and toasted pistachios; Smoked trout blinis with Créme Fraiche and dill; Seared scallops with finger lie beurre blanc . . .